Savings bonds and CDs have some significant differences as savings vehicles. U.S. savings bonds and bank certificates of deposit, or CDs, are low-risk, long-term vehicles for investing your savings for college, a house or your retirement. Their low risk means you have no chance of losing your principal in anything short of a national economic catastrophe. But the price of safety is a relatively low return on investment. There are some important differences between these financial instruments that you should be aware of before you invest. One major difference between savings bonds and CDs is how their interest is taxed. Federal income tax on the savings bond interest is deferred until the bond is redeemed. Taxes must be paid on CD interest each year as the interest is earned. The interest on savings bonds is exempt from state and local income taxes, while CD interest is subject to state and local taxation. But if the CD is held in an individual retirement arrangement, all taxes are deferred until retirement. Savings bonds are fixed-interest securities that require you to hold them for 30 years to receive full maturity value. They are guaranteed to be worth double what you paid for them if held for 20 years and will increase at a slower rate for 10 more years. You will get only a minimal return if you cash them in before 20 years are up. You can’t redeem them at all for one year after purchase. CDs are available in a variety of maturities ranging from three months to 20 years. In general, the longer a CD takes to mature, the higher your interest rate. If you redeem a CD any time before maturity you will pay an interest penalty, but you can buy CDs of varying maturities so you will have some CDs maturing each year in case you need the cash. Savings bonds are direct obligations of the U.S. government, backed by the full faith and credit of the United States. 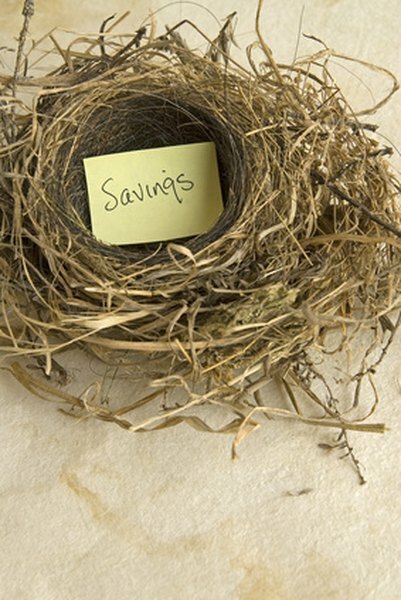 As of 2012, you buy savings bonds directly from the U.S. Treasury through the TreasuryDirect website. Bond redemption is guaranteed as long as the U.S. government exists. CDs are deposit obligations of the bank or credit union that issued them and will be paid by that entity. You buy them directly from the bank or credit union, or through a broker acting as a middleman between you and the issuer. If the bank or credit union fails but was federally insured, the federal insurance policy will pay you the CD’s principal plus accrued interest up to the day the bank failed. Savings bonds can be more affordable than CDs. The minimum purchase is $25, while many banks impose a minimum purchase of $500 on their CDs. But the Treasury imposes a limit on savings bond purchases, allowing no more than $10,000 to be bought in any one year. There is no maximum limit on the purchase of CDs.